Behind the Scenes of my next animated film! I’m really excited to share news of my next animated film, which I’ve been holed up at Calarts (California Institute of the Arts) making over the past couple months. It’s been a crazy and exhausting schedule to get done** (see below), but one that has been extremely exhilarating and rewarding at the same time. I’m really grateful to be able to have the chance to do what what I love to do every day, and have been lucky to have incredible support from friends, family, loved ones and mentors to do just that. It also happens to be my final film made whilst here in the Character Animation program – as I graduate in the next couple of weeks! Percy Penguin inspects an intriguing noise. 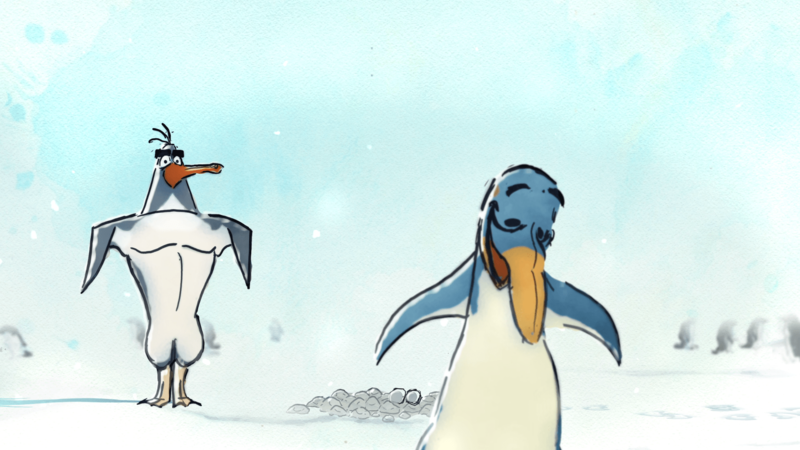 The backgrounds and the characters are painted in a watercolour style, an artistic representation of Antarctica. Some of the shots required a more dynamic camera move to evoke a certain reaction in the audience. 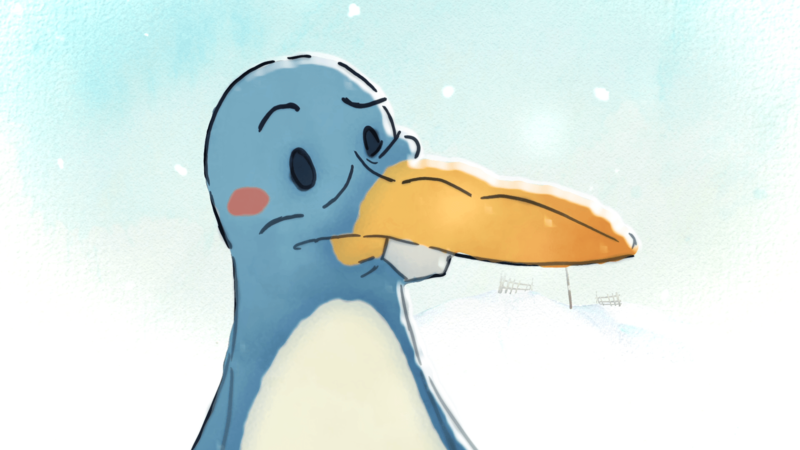 With painted watercolour backgrounds and character colouring, I wanted to keep the stylised sense of environment that the funny little penguins exist in intact, whilst having an engaging sense of cinematography at the same time* (check out my post ” Traditional and CGI animation – a Best of Both “? for my search to utilize and balance the best of both 2D and 3D animation). I used After Effects to create the 3-dimensional camera moves through space for this. It required a lot of planning to create – but none of this was made in a 3D animation software – just AE, PS and good ol’ fashioned paint and brush! Hopefully that has whet your appetite! Percy Penguin, Peruggia, Patricia Penguin, Patience, Petunia and all the cast of this whacky lil’ penguin world will be hitting the interwebs near you real soon! 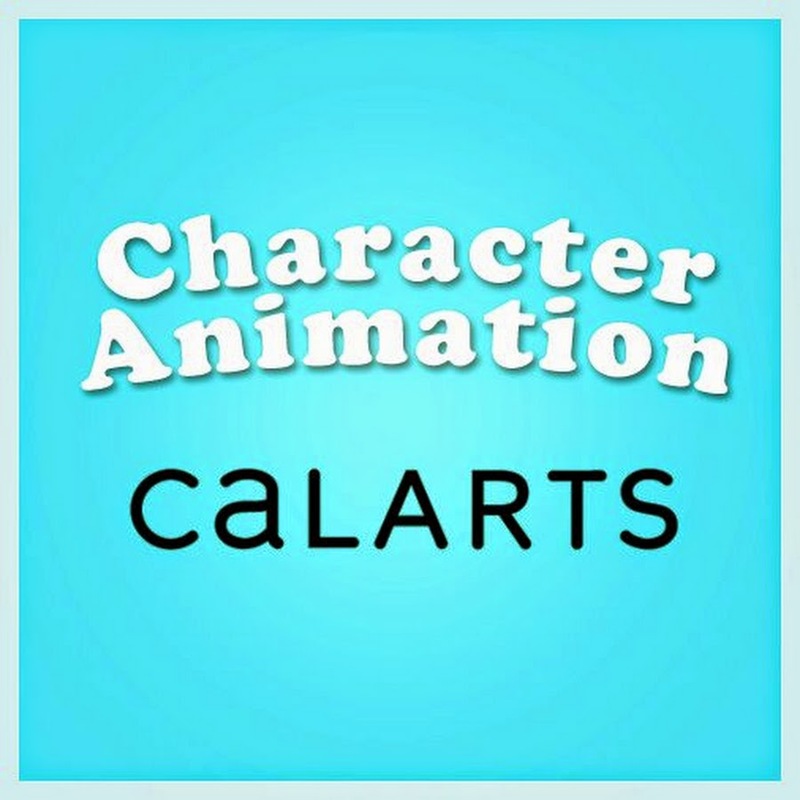 In Calarts’ Character Animation program ( Calarts Character Animation Tumblr ) each student has the chance to make a new film, by themselves, each of the four years of the degree. It’s a somewhat daunting task – tackling all aspects of production – story, design, animation, directing, sound etc all by yourself, particularly in such a tight time-frame (usually the film’s production consists of about 2-3 months in Spring – this year, due to other commitments, my film Production timeline was only 10 weeks) – but it’s also incredibly rewarding and serves a great purpose in giving the animation students a chance to get to grips with how an animated film gets made.